The theme for World Environment Day this year is ‘Think-Eat-Save’. 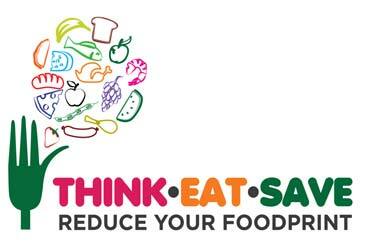 This catchy slogan seeks to convey a simple yet critical message: ‘Think before you eat and help save the environment’. ‘Think-Eat-Save’ is primarily an anti-food waste campaign. According to the U.N. Food and Agriculture Organization, every year 1.3 billion tonnes of food are wasted. What we don’t realize is that food waste is an enormous drain on natural resources, since, when food is wasted, it means that all the resources and inputs used in the production of that food are also lost. But besides food waste, I believe there are two further issues we need to think about when it comes to food: packaging and serving. The packaging that accompanies the food products we buy is probably something we rarely bother to think about. Take for example the chips that have become extremely popular today. These chips come in attractive packets that immediately grab your attention. But what really needs to grab your attention is the material from which these packets are manufactured. Most chip packets are made from aluminium laminated with polypropylene, also known as metalized polypropylene, or low-density polyethylene film. This material is very difficult to recycle and is also non-biodegradable. Hence, centuries after we’ve eaten the chips, their packets will continue lying around, choking drains or adding to the already existing mounts of garbage. Besides these packets, many other food products also come with excessive and environmentally harmful packaging, which has today become a menace. So the next time you are picking up a food product, check its packaging, and if it is not environmentally friendly, look for an alternative product. And how we serve food is again something we need to think about. Today, especially for parties and other large gatherings, we have got into the habit of using disposable plates, cups and cutlery. While this may appear convenient, and it definitely saves you from hours of washing-up after the party, it is far from convenient for the environment. In the first place, the large amount of resources and energy that go into the production of these items are just wasted by this use-once and throw-away style that we have adopted. Secondly, like with the packaging problem, these disposed items only add to the ever growing garbage problem. Most of the disposable plates and cups are now made from styrofoam (polystyrene) which is not easily recycled, nor is it biodegradable. Further, toxic chemicals leach out of styrofoam products which are harmful to health. The simple solution then is to totally avoid using disposable plates and cups, or if this is absolutely impossible, at least use biodegradable paper products. So there you have it, some practical ‘food for thought’, as we ‘Think-Eat-Save’, not just on Environment Day, but all through the year.